Shipping via Borderfree. Tax and shipping calculated at the checkout. 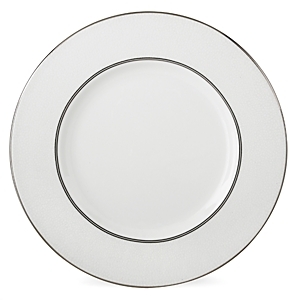 Information about kate spade new york Cypress Point Dinner Plate: Cypress Point Fine China shows the classic, timeless design that Kate Spade is known for. This china is ivory colored with a textured border and platinum rim. You might want to have a look around the Bloomingdales website to see what other products they have. Click here to go to the Bloomingdales homepage.